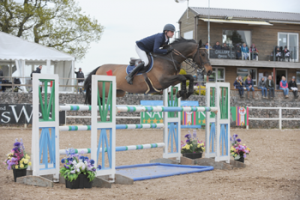 Nick Benterman from Bury St Edmunds, Suffolk with his consistent 11 year-old bay gelding Zorland D Volo were victorious in the CSI 2* Chepstow International Big Tour Grand Prix hosted at Wales and West on Sunday 3rd May. Course-builder Alan Wade achieved six clears from fifty-five entries – and a further seven jumped clear but incurred a solitary time fault. 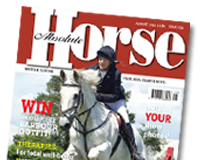 “The course was difficult, but Alan did a good job, no-one had a disaster and it needed a careful horse to jump clear,” said Nick.